Morty last in bloom in 2014. Amorphophallus titanum is in the arum family and is native to the rainforests of Sumatra, Indonesia. The Botanical Gardens acquired three of them in July 2014 and the one named Morty bloomed shortly after. David Swarts, chief executive officer of the Buffalo and Erie County Botanical Gardens, said Morty is definitely back. We love you Morty, but...whew-ee! 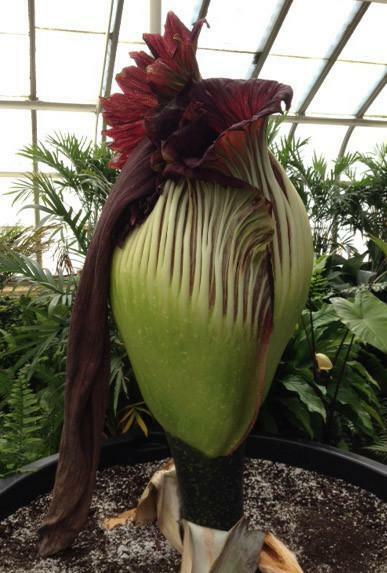 "Morty will be producing a stinky flower, a corpse flower, sometime in the not too distant future," Swarts said. "Right now, Morty is about 3' tall. It can be seen. It's on view at the Botanical Gardens and we're very excited about the return of Morty." When it reaches its stinky stage, the corpse flower will emit a "rotten flesh" smell. Swarts said he worked on a garbage truck during college and "it smells worse than that at its most pugent time." 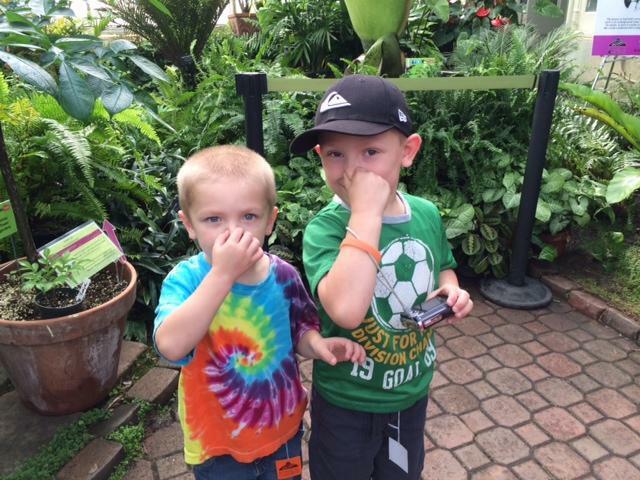 When Morty last bloomed in summer 2014, a record 10,000 people in two weeks - some from faraway states - visited the Botanical Gardens. "We were surprised that Morty bloomed earlier than we anticipated it to be, but we'll take it," Swarts said. "It's a great flower. 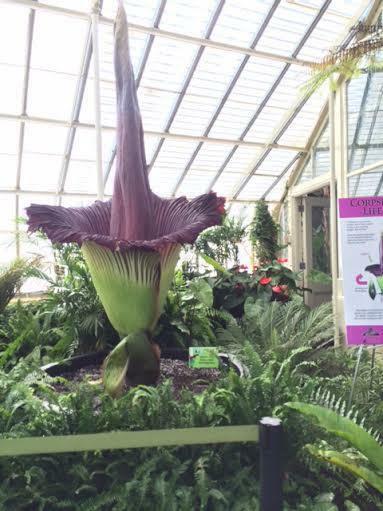 It's a great opportunity to see this very, very unique - and stinky - flower."